Now more than ever, craft distillery labels and spirit labels require the expertise of an experienced liquor label printer. 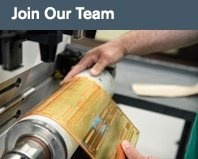 Advanced Labels NW has been printing the highest quality self-adhesive labels for spirits, wine, and beer for more than two decades from our manufacturing headquarters north of Seattle, Washington. The craft spirits market has experienced extraordinary growth, with every U.S. state now operating a craft distillery. The number of distilleries has increased more than 400%, with more than 1,000 nationwide and no sigs of slowing. It's estimated that the number of new craft distilleries is doubling every 3 years. Distilled spirits continue to gain market share from beer, which has been experiencing steady decline over the last decade. Competition in the distilled spirits market is fierce, and the quality and uniqueness of your craft distillery and spirit labels can increase consumer awareness, elevate your brand and increase your sales. If your distilled spirits are served chilled, consider using our new Ice Breaker waterproof paper label material. Ice Breaker labels will look like new even after 24 hours of ice water submersion or refrigeration. 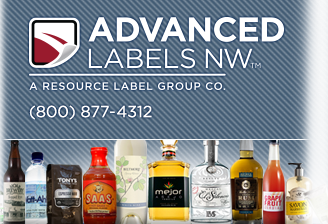 Advanced Labels NW is a custom liquor label printer located just north of Seattle, Washington. Our products and services are tailor made for the discerning and sophisticated craft distillery label buyer. We specialize in cutting edge craft distillery and micro distillery label solutions with a focus on superior quality, innovation, and brand recognition. We can also assist you with your liquor bottle label design. Our design review process will also assist craft distilleries in avoiding the common pitfalls associated with TTB approval. We are experienced at printing vodka labels, gin labels, whiskey labels (and whisky labels), rum labels, scotch labels, mezcal labels, tequila labels, brandy labels, cordial labels, flavor labels, and more. Combined with our award-winning ﬂexographic printing capabilities, our HP Indigo digital press creates an unbeatable combination of quality, value and ﬂexibility for craft distilleries and micro distilleries. 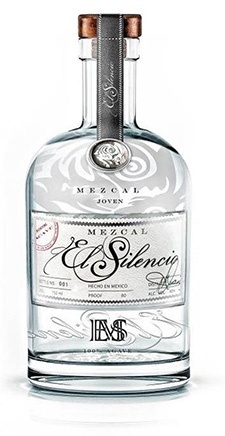 We speciﬁcally engineer each distilled spirits label project to take full advantage of the unique beneﬁts of digital, ﬂexographic and combo printing to provide you with the highest quality liquor label printing for the absolute best value. We believe there’s more to being a craft distillery liquor label printer than simply adding ink to paper. As a custom label solutions provider, Advanced Labels is committed to partnering in the continuing success of your craft distillery labels or micro distillery labels. 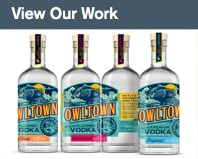 We’re ready to assist you with concepts, designs, engineering of your craft spirits label applications. 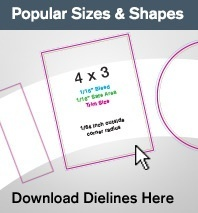 Check out our Pinterest page for label design inspiration; follow us on Twitter, Facebook and our blog for the latest labeling news, or sign up for our newsletter to read about our Featured Label promotion. To discuss your speciﬁc liquor label printing requirements and receive expert advice with a competitive quote, call or email us today!